Who Is Axiom Cyber Solutions? Our Mission: Develop automated, intelligent, and innovative cybersecurity solutions that are affordable, attainable, and accessible to all businesses, regardless of size. We started with an enterprise class firewall and then built an intelligent, automated, and polymorphic software platform to stand behind it to keep our clients protected in real-time against the latest threats. Axiom partners with only the best cyber-security companies to give our clients a true holistic, layered approach to cyber-security, all without breaking the bank. Axiom Cyber Solutions strives to be the leading cyber-security technology partner by providing world-class solutions that are intelligent, adaptive, innovative, and automated. Through our technology solutions, we enable our clients to be disruptive in their markets while remaining focused on what they do best. We believe in the saying “if you find a job you love, you never work another day in your life”. We seek to cultivate a culture that attracts energetic, motivated, and creative individuals that share our passion for technology. We have assembled an industry leading team of infrastructure specialists, developers, database and business intelligence experts, and project managers that can specifically address the cyber-security needs of small-to-medium businesses and provide cutting edge technology solutions. Our staff hold several industry leading certifications like Certified Information Systems Security Professional (CISSP) and Information Technology Infrastructure Library (ITIL) in addition to degrees in Analytics, Computer Engineering, and Information Systems Management. Axiom Cyber Solutions believes in the philosophy of the Collaborative Way® and prescribes to the guiding principles of: Listening Generously, Speaking Straight, Being for Each Other, Honoring Commitments, Acknowledgement & Appreciation. To learn more about the Collaborative Way®, please visit their website. 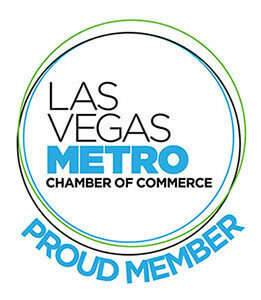 Axiom Cyber Solutions is a proud member of the Las Vegas Metro Chamber of Commerce since 2015. Axiom Cyber Solutions is proud to be a sponsor of the Southern Nevada Cybersecurity Alliance (SNCA) and volunteer its expertise in times of need.